Building your own treehouse? Nelson Treehouse offers consultations and supplies to support your DIY project. Building your own treehouse? We offer consultations and supplies to support your project. 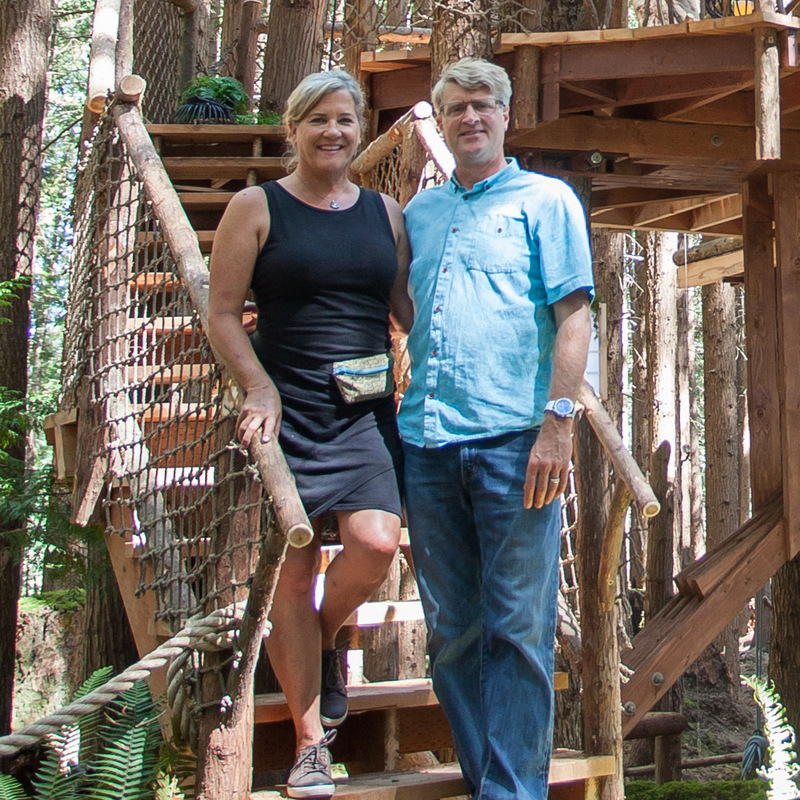 We offer consultations via phone or in-person to advise DIY-ers on their treehouse projects. From quick questions, to more in-depth problem solving, to modification of our existing plans, we're here to help. 📞 Telephone consultation with one of our treehouse specialists: This is the best option for quick questions and advice regarding building in the trees. Please note that any design work requires an in-person site visit. To ensure accuracy, we cannot work off photos, Skype calls, videos, etc. 🚗 Onsite consultation within the greater Seattle area: One of our treehouse experts will conduct a site visit to answer any and all questions regarding design, quick fixes, and strategy. This consultation does not constitute a full-scale treehouse design site visit - it is intended to advise DIYers on their treehouse projects. ✈️ Onsite consultation outside of the Seattle area: If you live outside of the Seattle area, we can schedule an onsite consultation on a first come, first served basis. Please be prepared to be placed on a waiting list, as our services are in high demand and local consultations are prioritized. *Please note: Pete Nelson does not conduct consultations. Your consultation will be conducted by one of our other treehouse experts who specialize in advising DIY-ers on their projects. Phone consultation services are offered at an hourly rate of $175 with a one-hour minimum. Beyond one hour, we bill in 15-minute increments. Local consultation services (within the Puget Sound area) are offered at an hourly rate of $250 with a one-hour minimum. Beyond one hour, we bill in 15-minute increments. In addition there is a $0.75 per mile mileage fee roundtrip from our offices in Fall City. If your location is more than one hour roundtrip from Fall City, there is a $75 per hour travel time fee after the first hour. Ferry charges and tolls are also billed to the client. Site visits outside of the Puget Sound area: These costs vary depending on the location of the project as lodging, plane fares, car rental, etc. will be required. This fee depends on the scale and scope of the consultation (e.g., altering a treehouse design, performing a quick fix, or giving advice on a project that is already in progress). Minimum cost is $3,500 for the consultation. For information on site visits as part of our full-scale design and build services, please visit our Design + Build Steps page. If you are interested in scheduling a consultation, please submit an inquiry by clicking here. This will enter your request into our system - we review each inquiry thoroughly, so please be patient while awaiting a response. Once we have reviewed your questionnaire, we will email you with next steps to get your project off the ground. We offer all the specialty equipment you need to build a treehouse on our online store at beinatree.com, including treehouse plans, fasteners, and heavy-duty hardware. We use this same equipment in each of our treehouse builds around the world. If you plan on purchasing our treehouse designs and/or hardware at beinatree.com, we provide a complimentary 15-minute consultation to advise you on the necessary equipment for your project. Before beginning any treehouse project, we recommend you read our Treehouse Instructional Guide.